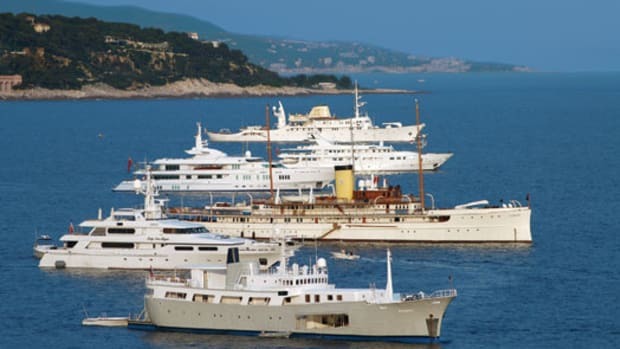 European cruising grounds are favored by Sergio Mantegazza, a Swiss citizen who&apos;s made billions in the travel industry. In fact, he had the yacht pull into Monaco in April for the Monte Carlo Masters tennis tournaments. Like Ambrosia (no. 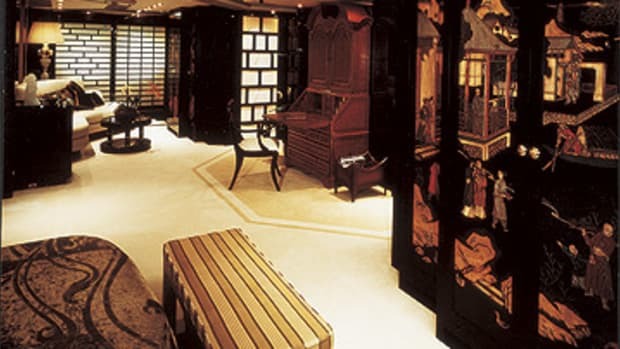 87 in "The Power & Motoryacht 100"), Lady Marina bears a family coat of arms, but hers has a personal touch: a pearl necklace around the neck of a knight.